The LFM are a small, but determined orchestra playing interactive music on wooden horns with the support of a few traditional instruments such as drums, bass, accordion and ukelele. 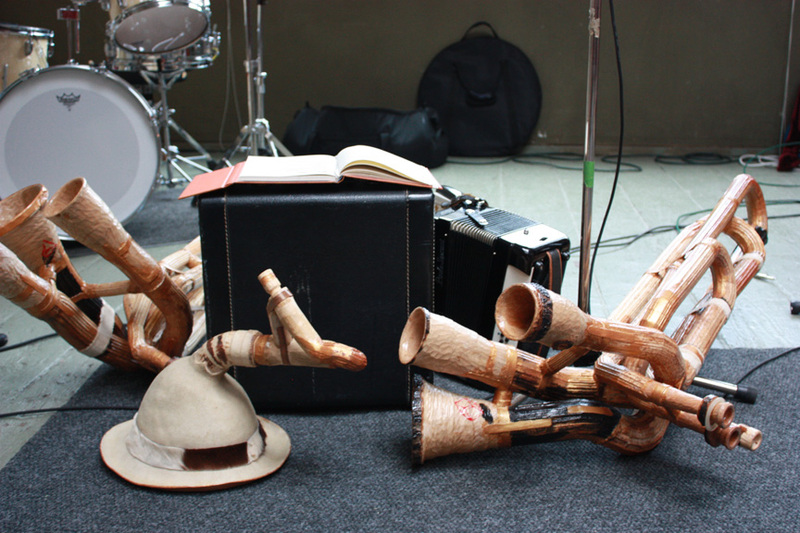 The wood horns (called ‘Fu-horns’) are hand built by Vancouver multi-media artist, Mr. Fire-Man, using renewable local hardwoods and, occasionally, very unexpected materials such as heavily varnished felt hats. If, right now, you’re wondering whether they work at all, take a moment and click on the videos page and have a gander through some of our evidence. After that, I hope you will enjoy your visit and plan to come out and see us sometime.